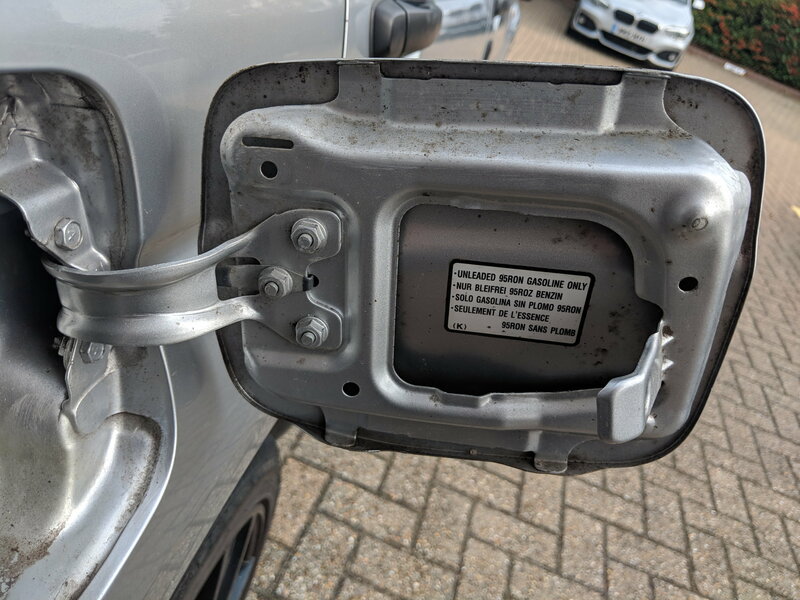 Odd, can you post some pics of the inside of fuel flap? Cheers. That looks the same as the newage impreza one. 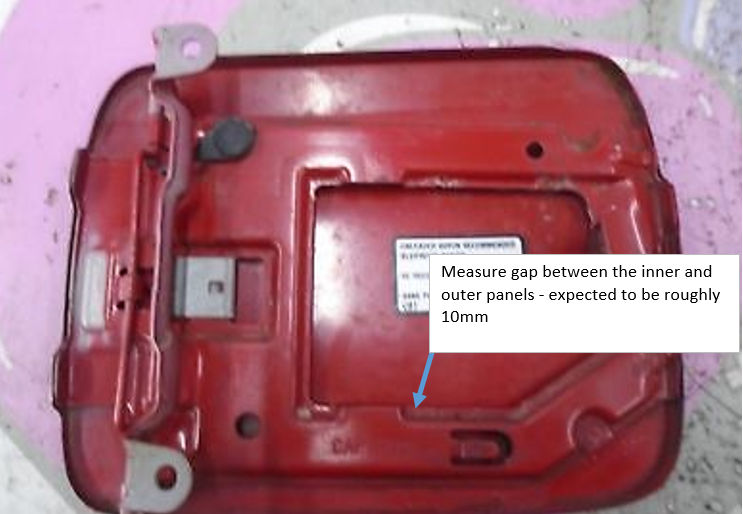 Do you have a steel rule so that you measure the panel gap between the inner and outer skins at the bottom left of the bit where the label is? I'd be 99.99% sure it'll be 10mm ish so the std fuel cap holder I have will fit no worries. ​​i will have one then! Hello Bazil, I searched your posts to see if you were after suggestions as to what to 3D print, but gave up after 4 pages. Anyway, if you are open to suggestions, one item of interest would be the classic sigma alarm fob. They break around the mounting points to the key ring and are hard to come by. As its only an outer casing that needs replacing which you can't buy, you have to buy the whole thing, which is now pretty expensive. Anyway, just a suggestion, maybe start a thread to drum up some interest. I personally don't need one right now, but I do have a broken one I could send you for a prototype. I like all of your ideas so far. Thanks for looking! Yeah I'm always open to suggestions, but don't have a specific thread for it. People have approached with ideas, some of which resulted in the for sale posts (the single din gauge mounting being one). I have some in the pipeline too, which I think are pretty awesome, will see where they end up. As for any ideas you have (or anyone else), drop me a PM and we can chat about it. Last edited by Bazil_SW; 16 October 2018 at 10:48 PM. Could I please buy a plain black fuel cap holder for an 04 WRX wagon? EDIT, I'm now wondering if the Hatch actually has one already fitted lol, don't have the car with me today so can't check ! Last edited by TheOriginalAquapanther; 30 November 2018 at 02:23 PM. Can you do a black one with the STI but below have either Prodrive in smaller text or PPP to indicate the prodrive performance pack . Can take a look! Drop me a pm. Can I order one for my Hawkeye please? filling up and think I need one.